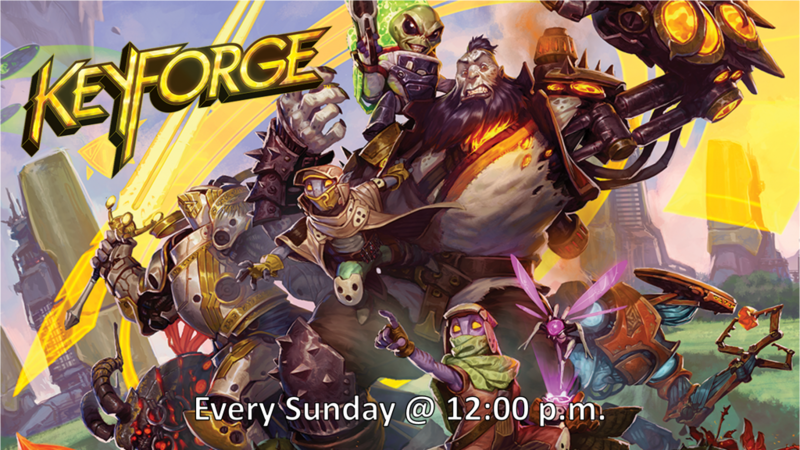 Join us in our Nashua store on Sunday afternoons for KeyForge. Bring your best decks and test them against others. Tournaments will be relaxed tier events. Entry is $5. Prizes will be based on event attendance. Not interested in tournament play? Just come in and hang out and play some casual games.